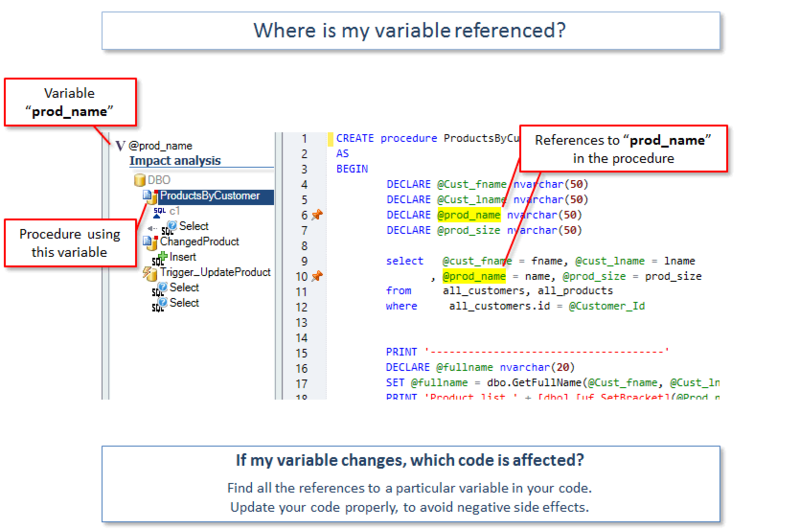 Visual Expert is a must-have solution for the maintenance of your SQL Server Code. 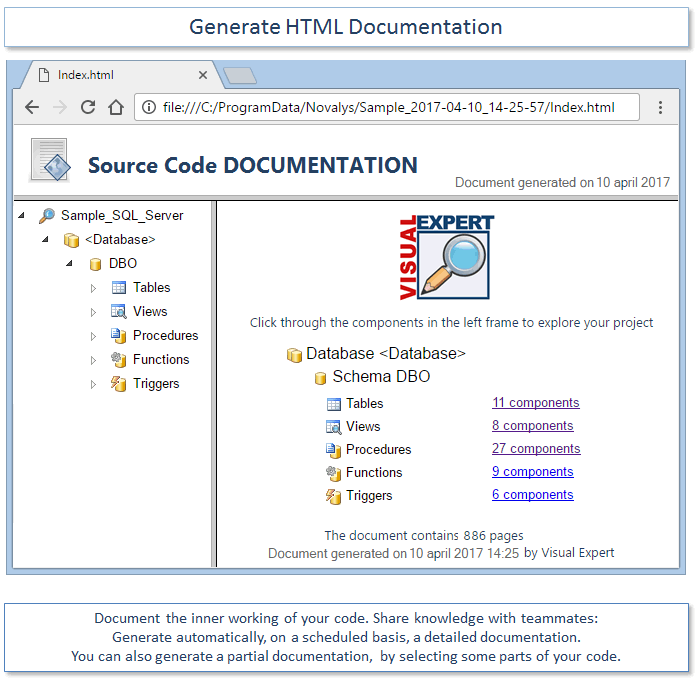 Using Visual Expert, developers easily discover and start working on any existing applications. 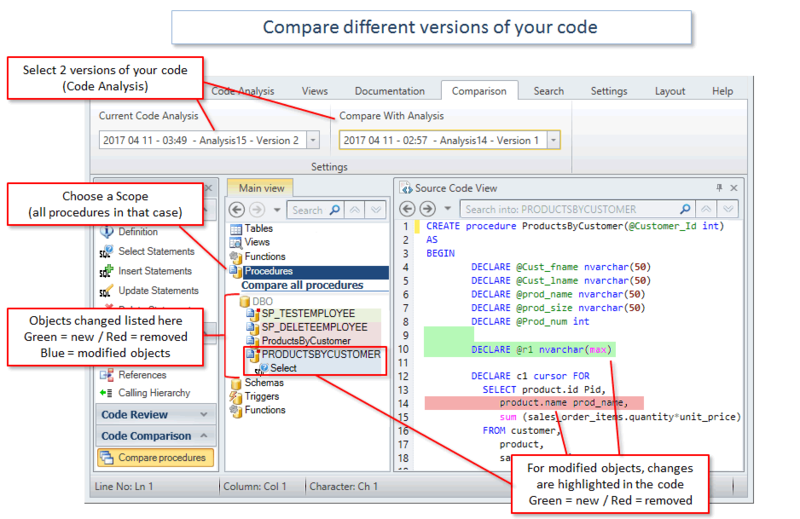 Understand the code - Identify the modification - Validate the effect of the change - Generate CRUD Matrix - Documentation - and more! 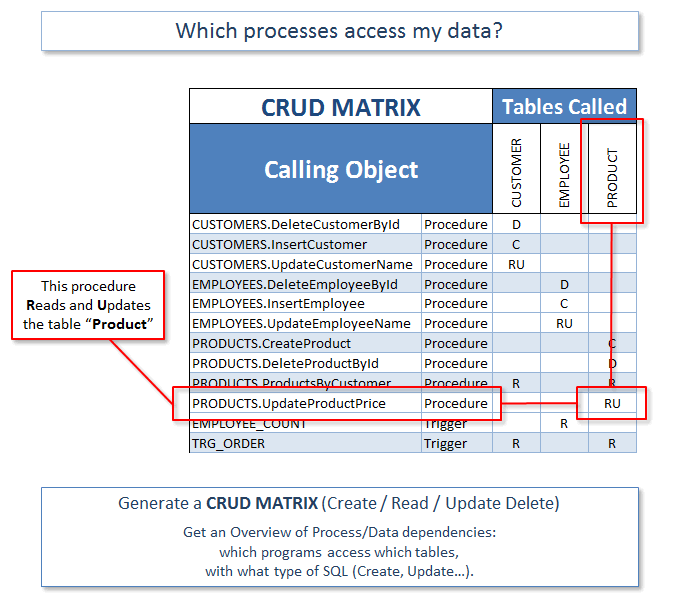 Generate a CRUD matrix, showing which SQL Server Objects access your data, and how. 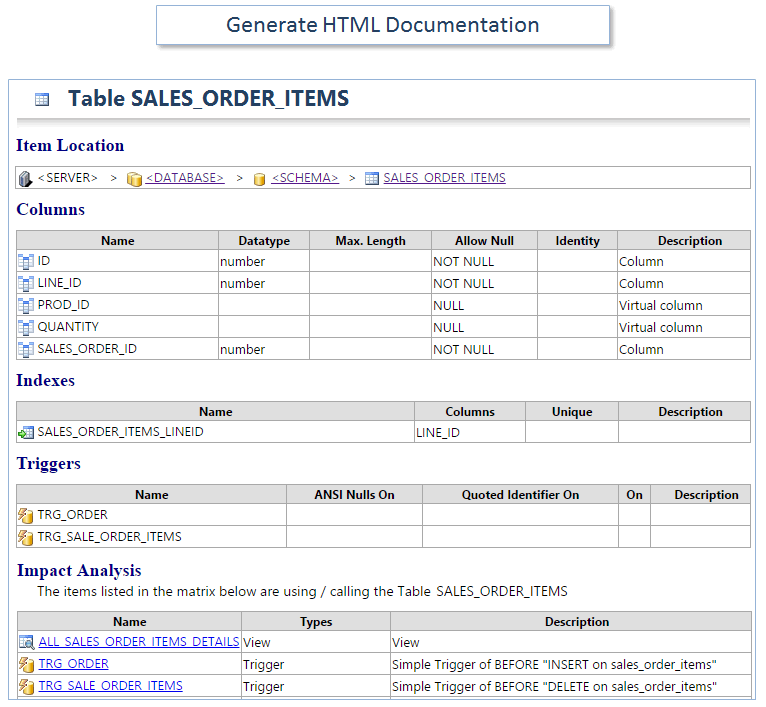 For instance, which Procedures Create/Read/Update/Delete which Tables. 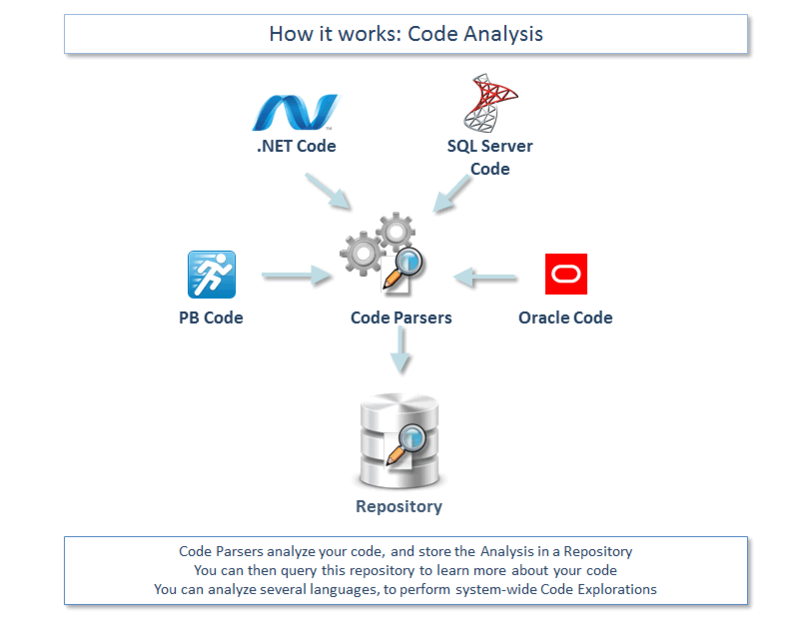 Review dependencies between your SQL Server DB and your code. 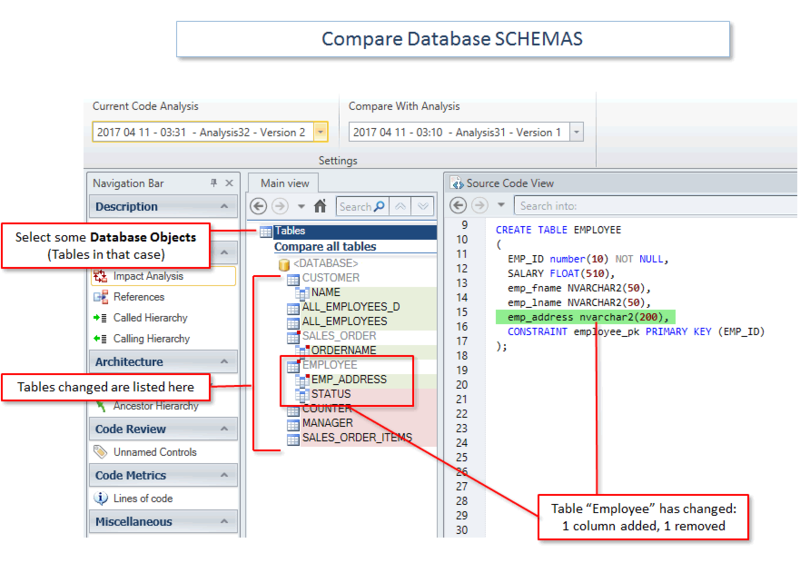 Analyze the impact of changing your Schema, for example changing a table definition or adding an index. Estimate code complexity and development efforts. 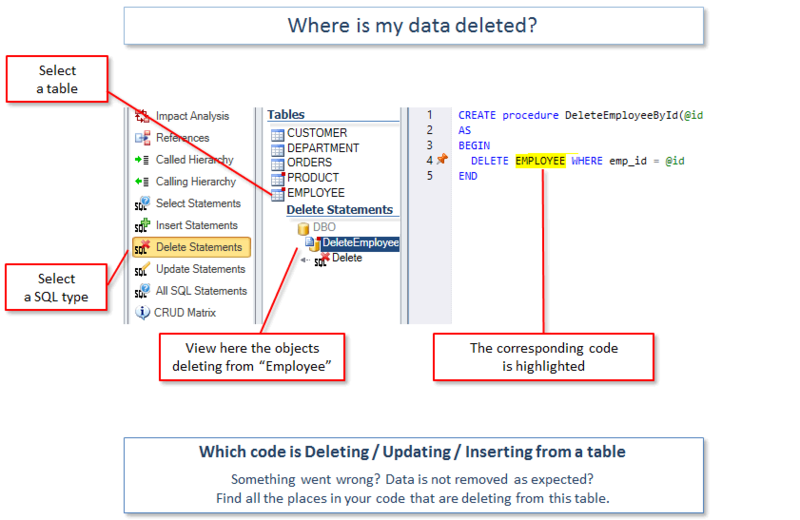 Find out which tables are never updated, deleted from multiple places, etc. 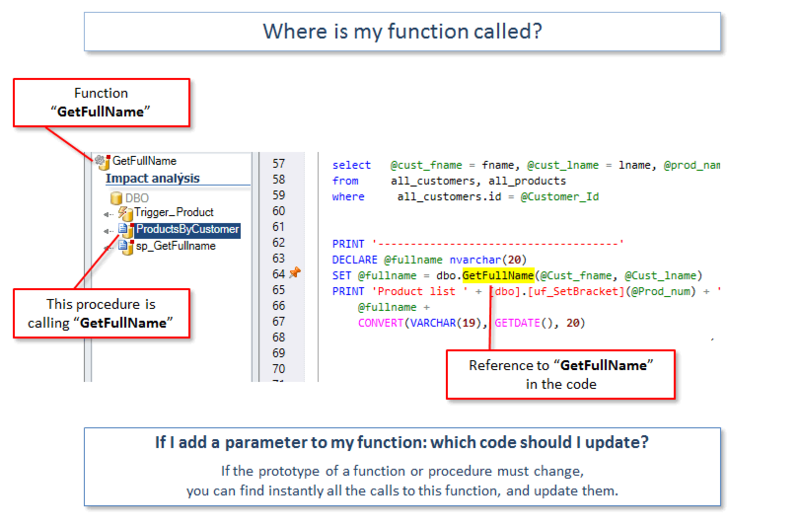 Display callers and callees for procedures, tables, triggers... Navigate through your code. 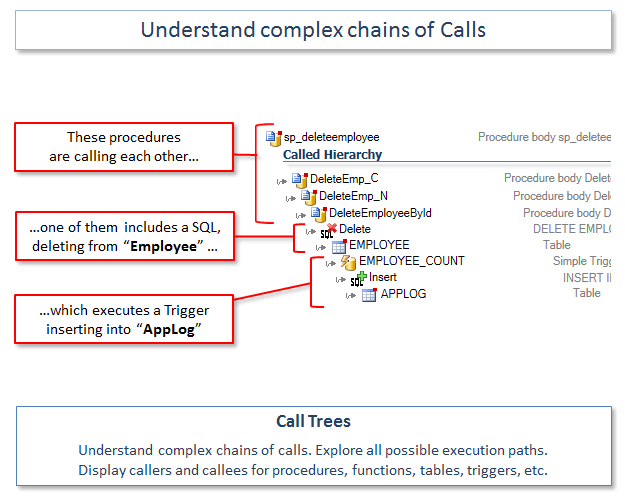 Understand complex chains of calls. Explore all possible execution paths. "If I change this, what is the effect?" Don't break your application after a change! If I change this variable, what is the effect on my code? If I add a parameter to a function, what else is affected? If a table or column is changed, which code should I update? 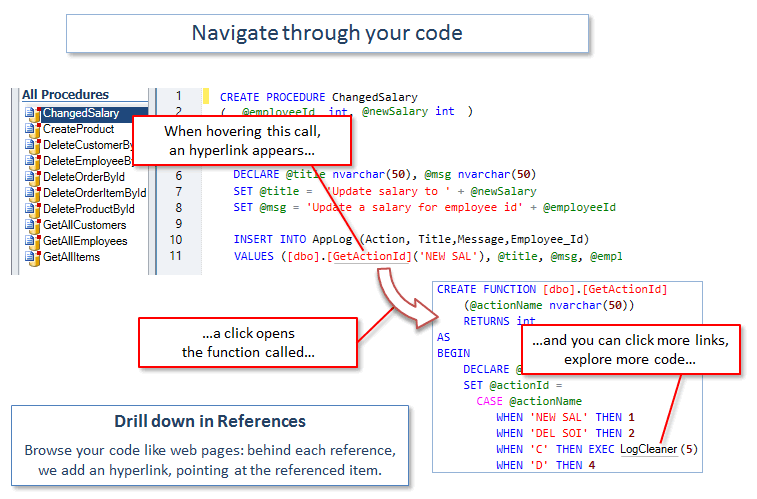 Document the references in your code. Easily navigate between these using hyperlinks. Keep your documentation always up-to-date. Share knowledge with teammates. In such cases, Visual Expert is the perfect companion for your development tool. 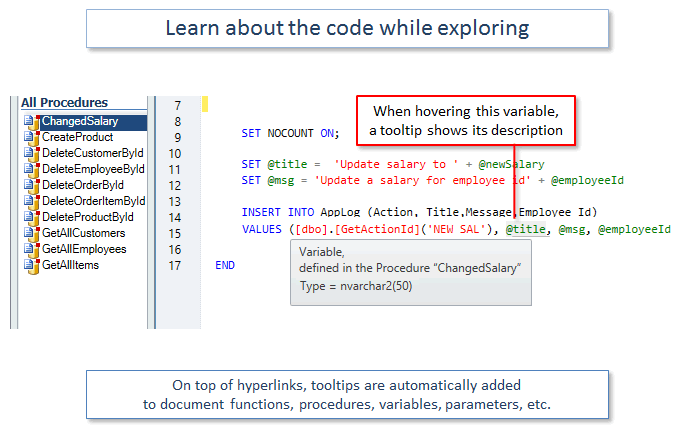 Navigate in your code via hyperlinks: each reference comes with a link to the referenced item. 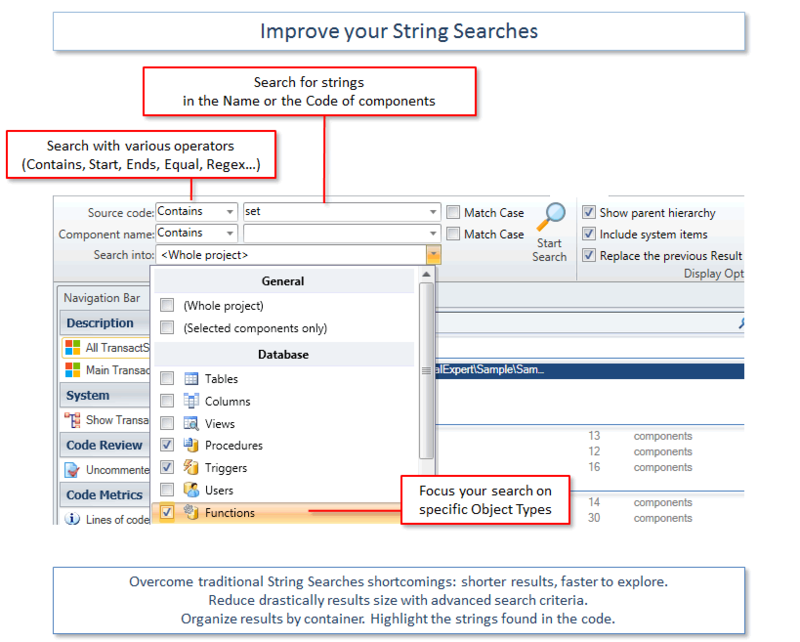 Tooltips provide useful information about objects, methods and variables. Lots of advanced features will screen your code under various angles. Run application-wide comparisons, not only for a file or an object. 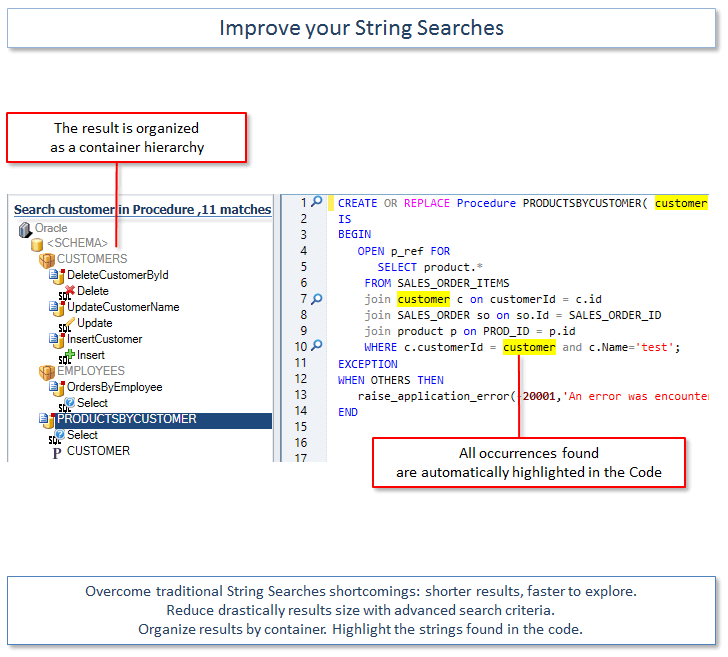 Browse differences in a container hierarchy. Drill down to find relevant changes. Save "snapshots" of your code on a regular basis, and compare them anytime. Filter relevant result items. Share the outcome with colleagues. They can export and send results to others, as Excel or HTML files. 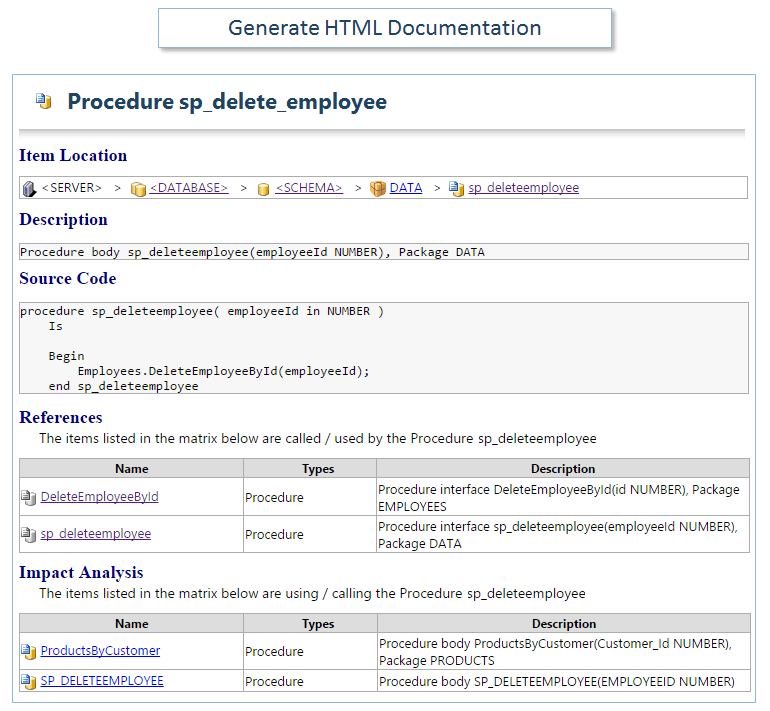 Identify unused objects, indexes or tables, and remove some dead code. 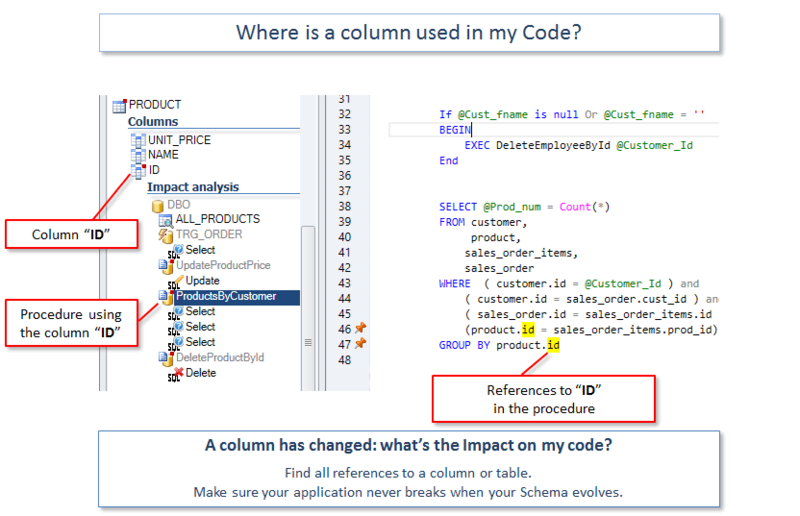 Identify missing indexes, degrading query execution time. Visual Expert offers two levels of versions to suit all types and sizes of projects. Running on a standalone seat. 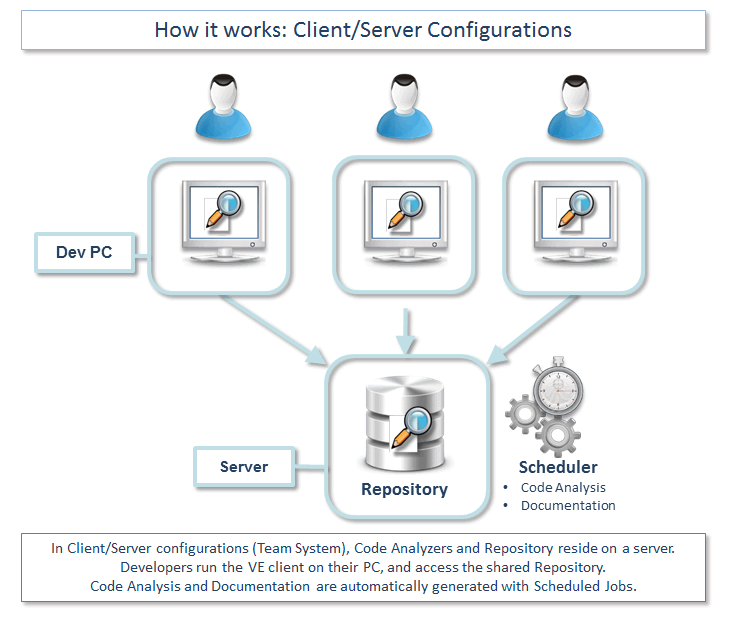 + Server automating code analysis and documentation. Recommended for several developers working on the same project, or when the volume of code is important. Visual Expert provides a set of innovative features, that complement your preferred development tool. 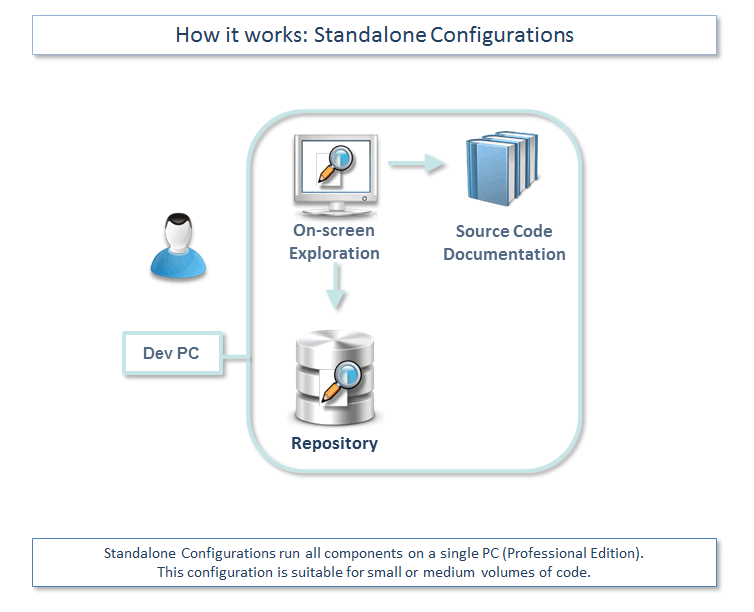 Basically, your create the application with your development tool, then Visual Expert analyzes your code to help maintain and optimize it.